Yesterday I was walking by the river and as you walk along the day to day farming life is there to see. It is an organic and bio dynamic farm and run with many of the less intensive practices of the older days. There is a pig there who had a number of piglets some weeks ago and as I have visited over the last while they have grown from tiny babies to good size piglets. Yesterday as I walked through the mum (along with another adult pig) were in one field and the piglets were in the field beside them (this is the first time that I have seen them separated). The mum and one baby piglet were running up and down the fence on either side of the fence side by side very agitated and distressed in what seemed to me an attempt to be together. My sons were with me and my 5 year old spontaneously said ” why did they take the baby from its mum, that is really mean”. I was compelled to tap, I just could not keep going and leave them in that acute state of distress. I tapped saying the same two phrases “They separated us, we want to be together” for about 10 minutes never changing the wording. It just felt it exactly described what was happening for them and needed no “even though” or “you are great pigs”. Well I know you have seen the magic of EFT many, many times and I have seen its wonder too but it was magic to see what happened. After a minute or two the frantic running up and down either side of the fence slowed, then the piglet and shortly after the mum moved a number of feet from the fence and a few minutes later they each moved more towards the centre of their fields and poked the ground with their noses as pigs do. My boys were playing near the river so I moved from the view of the pigs to make sure they (my boys) were safe, all the time tapping “they separated us, we want to be together” until eventually it felt time to stop. About 30 minutes later we passed again where the pigs and piglets were and the baby was in a small lean to with the other piglets and the mum in a lean to in her field with the other pig. As we watched the farm workers came to feed the piglets causing them to run our for the feed. The activity brought the two adult pigs over to the fence to (drawn by the smell of food perhaps). The piglet who had been distressed ate with the others and then wandered off not even noticing the mum who was in close proximity and she did likewise. It was as if the distress a short time before had never happened. I really wanted to share this with people who “get” animals and of course who “get” EFT. It was so nice to see what EFT did to ease the distress of this piglet and pig. I was repaid 10 fold that night when my 5 year old had huge fear at bedtime (which comes up from time to time and I believe goes back to a separation at birth when I was taken to theater for a while after he was born). I was doing some tapping on the points for him initially without words and then the same phrase came to me in a slightly altered way”they separated us and I really want to be with my mum”. It felt so true, intuitively and I believe that is the gift I was given today by the experience of those pigs. My son was peacefully asleep in about 10 minutes. There are a number of layers in this issues I think but hopefully each time it comes up and is tapped on it will heal piece by piece. Thank you for taking the time to read this and for reading my sharing. 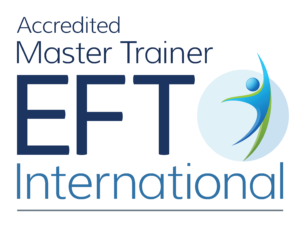 Many times as I work with EFT and intensities drop I think yes that is what EFT does and then sometimes I see something like my experiences yesterday and I think wow this tool really is special and amazing and I am gobsmacked all over again.